Before Euroclear, settlement required the physical delivery of certificates and cash. Trading was hampered by long delays in the delivery of securities, the loss of certificates, and excessive counterparty and market risks. The market urgently required a settlement environment that was effective and efficient. 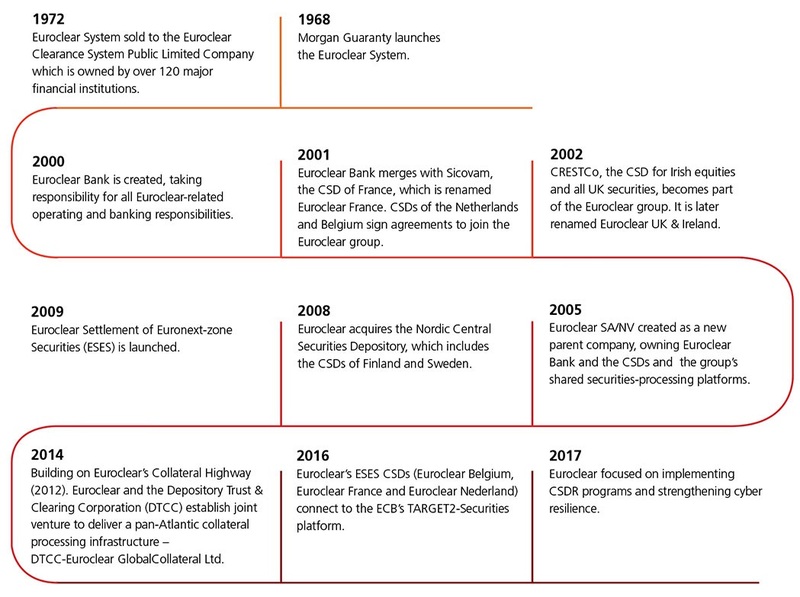 The Brussels office of Morgan Guaranty Trust Company of New York (Morgan Guaranty) founded the Euroclear System in December 1968. The system minimised risk as transactions within the system settled delivery versus payment (DVP). This means that cash and securities are exchanged simultaneously, in electronic book-entry form. Today, the Euroclear group not only settles eurobonds, but a wide range of asset classes, including equities, funds and derivatives. For more information about the range of services provided by the Euroclear group today, visit our Services section.